The previous owner installed a new Sony AM/FM CD player and the new owner installed new front speakers for AM/FM CD player. This upgrade also allows the fade and balance functions on the stereo to work between the 2 sets of speakers. The previous owner installed an auxiliary fan and motor for the engine that is controlled from the dash. 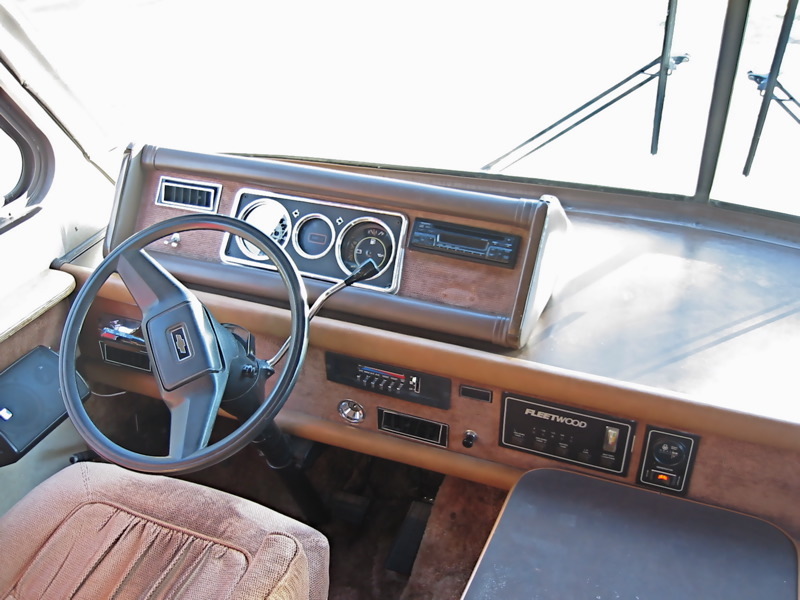 The triangular dash (with the speedometer) opens easily to allow for easy access to wiring. The cruise control worked when we first embarked on our summer trips, but it currently is not operational.